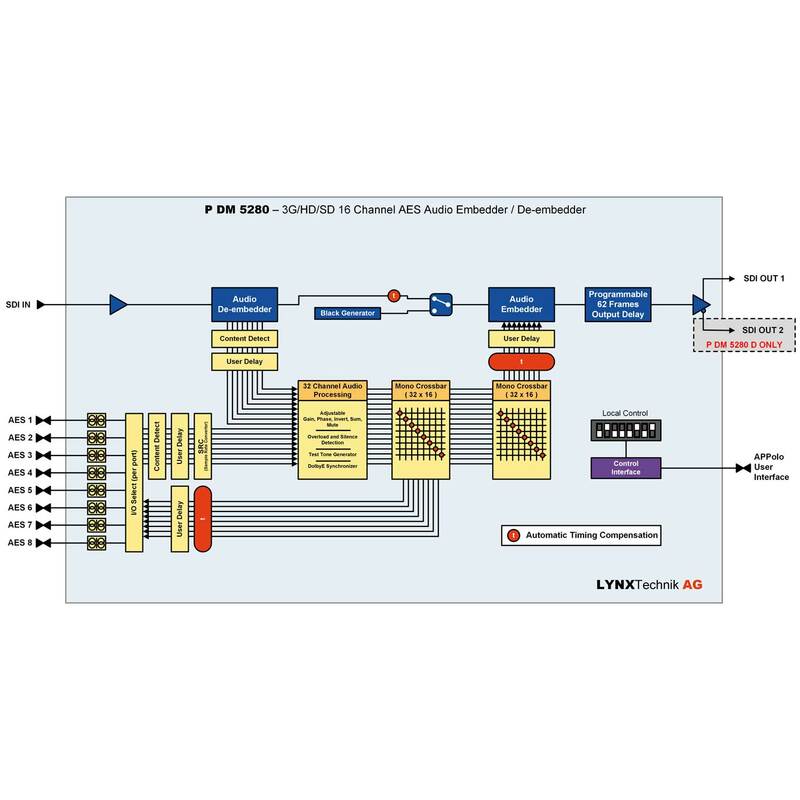 The P DM 5280 is a versatile 16 channel (8 x AES) audio embedder and de-embedder, which can be used to address a variety of audio issues in broadcast. The module offers multiformat support for SDI formats up to 3Gbit/s (auto-detect). The module can be switched between a 16 channel embedder or de-embedder, or used as a combination of both. 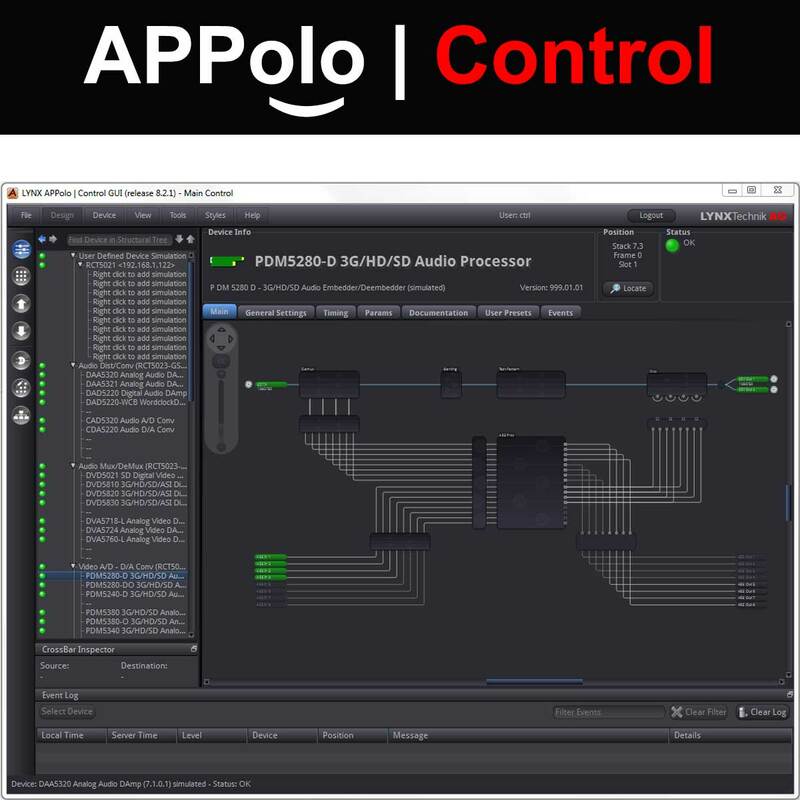 16 channels of audio are also de-embedded from the input SDI signal and passed into the audio processing stage. In embedder mode 16 channels of external audio are passed into the audio processing stage. Audio processing includes adjustable gain, phase invert and mute for all 32 channels as well as a selectable mono mixdown function for each left and right pair. The processed audio is passed onto a 32 x 32 output crossbar where the audio for the embedder and the external outputs can be user mapped. 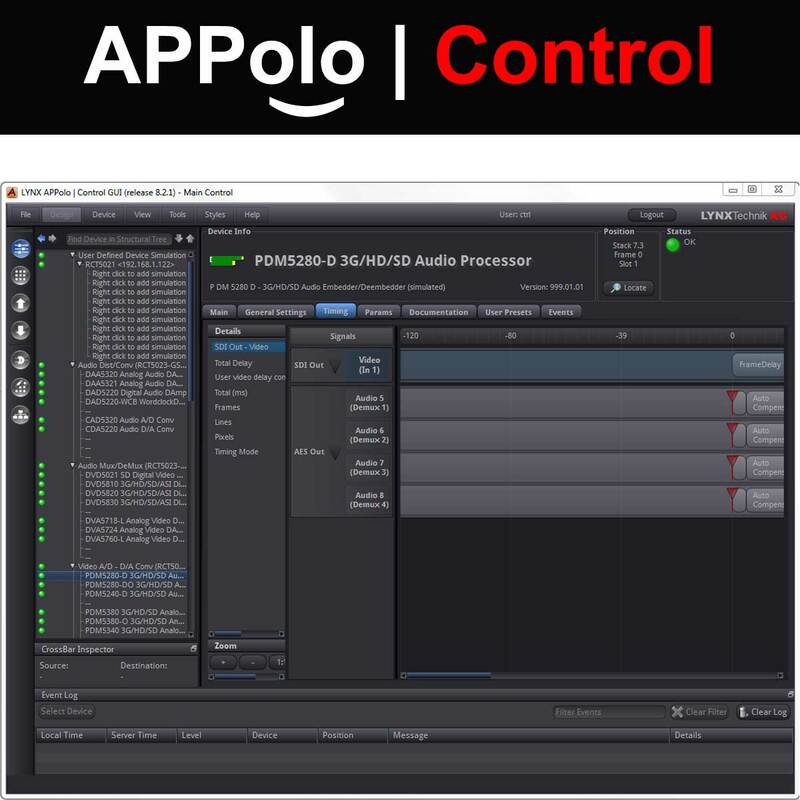 The module also provides up to 62 frames of programmable output delay adjustable in frames, lines and pixels. 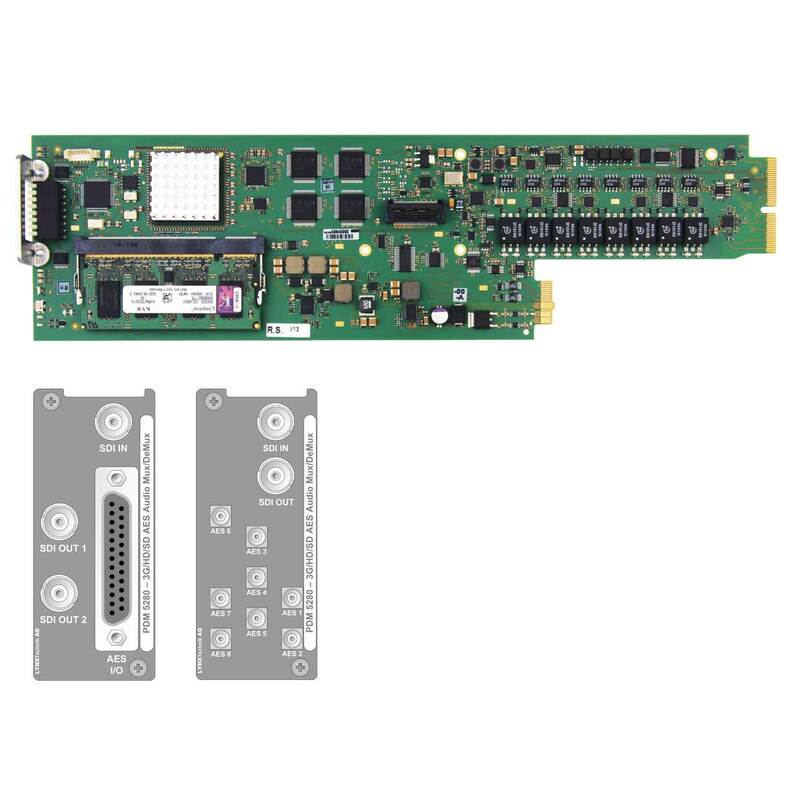 Microprocessor control and on-board Flash RAM enable configurations and settings to be stored within the module. Remote control, status monitoring and error reporting is possible when using the LYNX APPolo Control System.